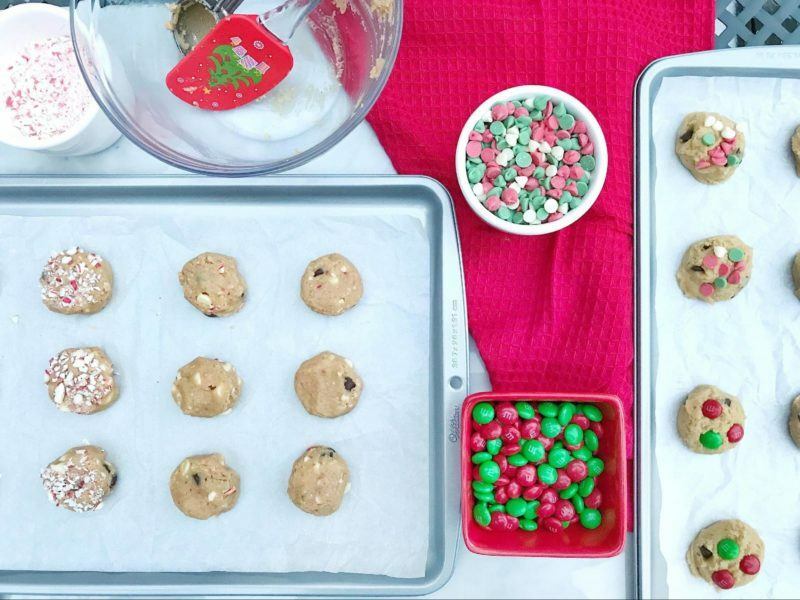 Kitchen Stuff Plus > Inspiration > Collaborations > Turn Chocolate Chip Cookies Into Holiday Cookies With 3 Easy Tricks! 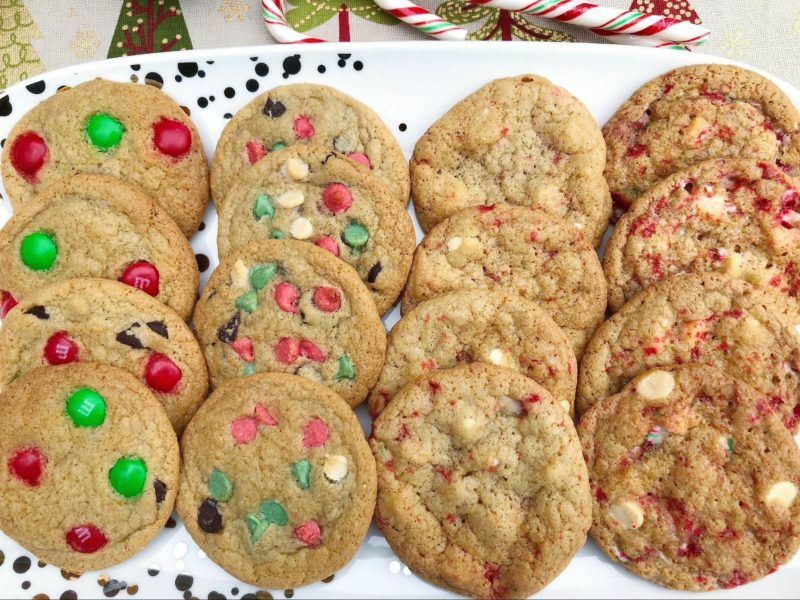 Every year, I get a head start on my Christmas baking by taking my go-to chocolate chip cookie recipe and changing the mix-ins to create a variety of holiday cookies. 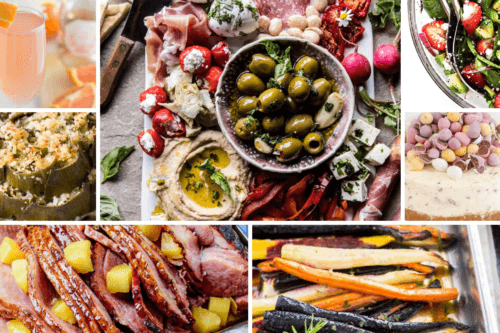 It’s an easy way to make festive treats out of a basic recipe. 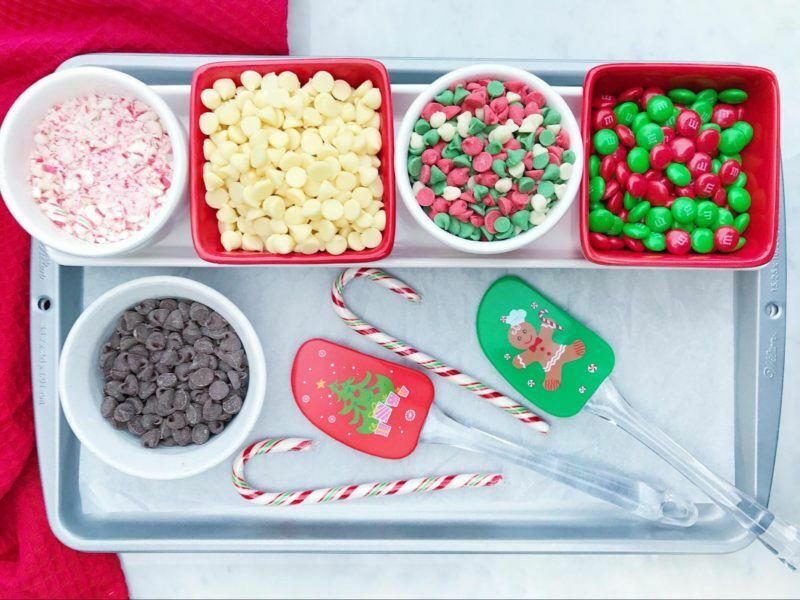 Substitute some of the chocolate chips for red and green chocolate-coated candies or for red, white, and green chocolate chips. 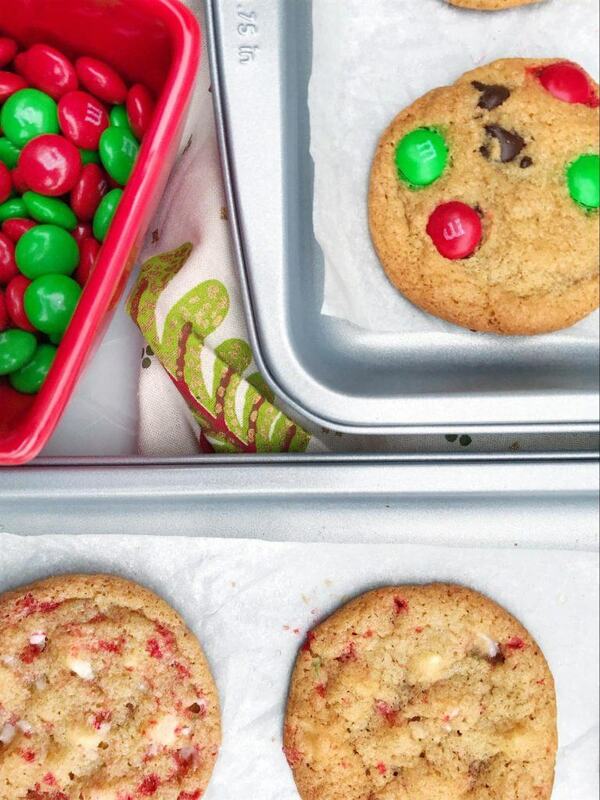 Use half of the chocolate chips that the recipe calls for and then put the colourful candies on top of the cookies to get the full effect of the green and red colours. 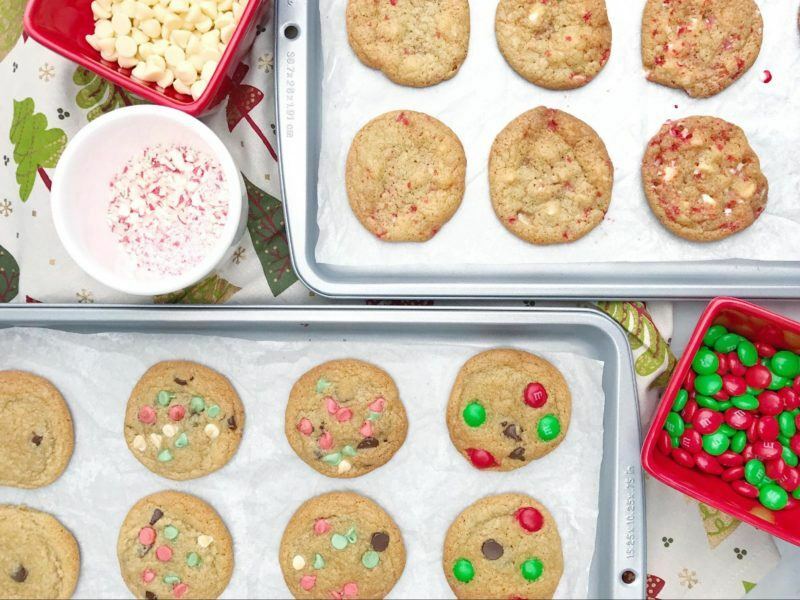 Replace the semi-sweet chocolate chips with white chocolate chips and crushed candy canes. This gives an entirely different taste and look to the cookies, but still lets you keep the same dough base. 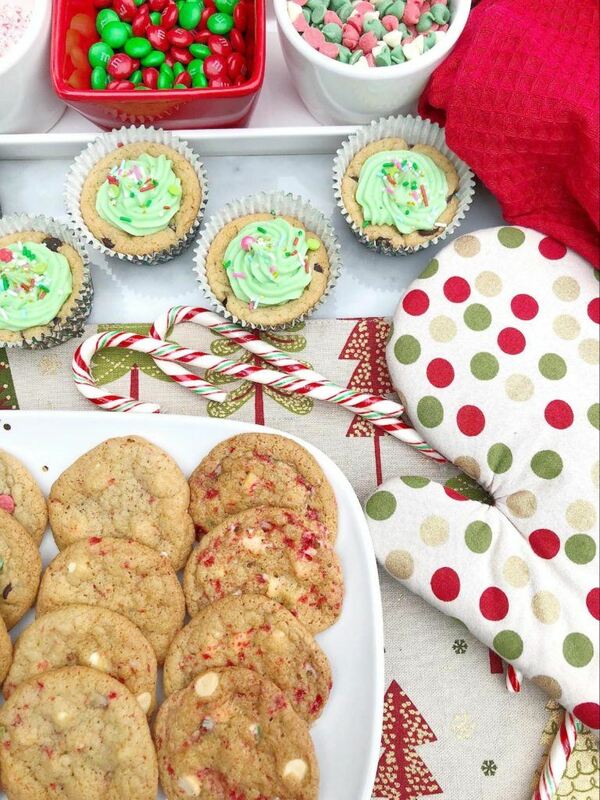 The candy canes make the cookies a bit chewy and the white chocolate pairs nicely with the mint flavouring. 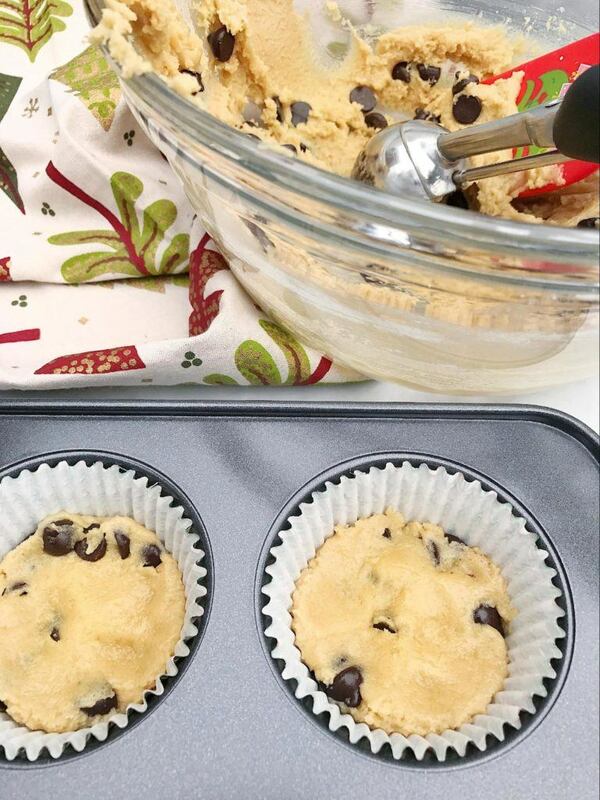 Make the chocolate chip cookies in a muffin tin by scooping the dough with a 2-teaspoon cookie scoop. 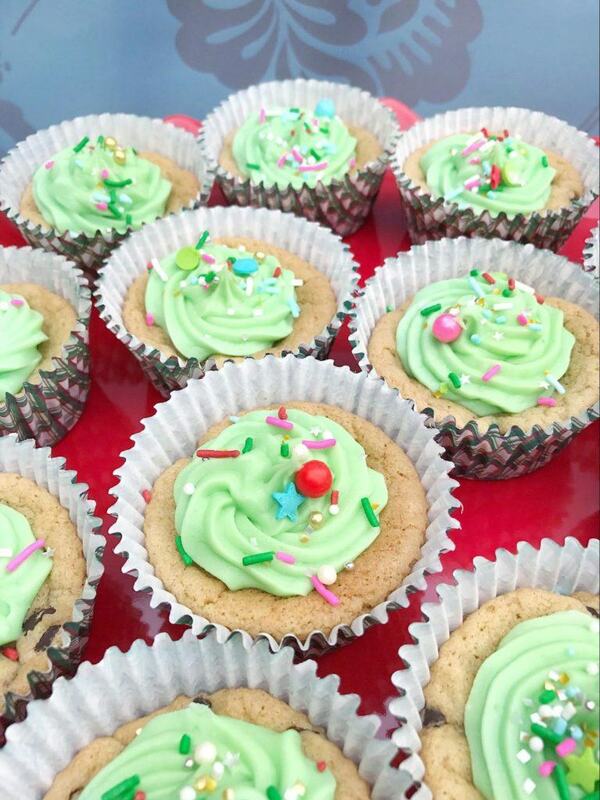 Pipe the cookies with green or white buttercream for a Christmas tree look. 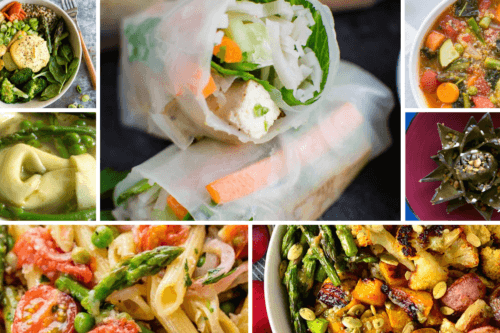 You can use any tip you like from a decorating kit. 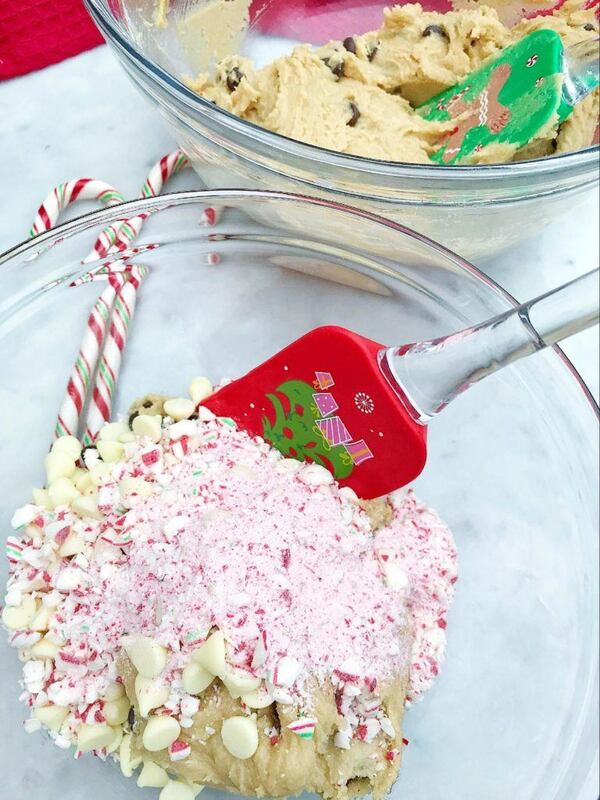 Add some festive sprinkles. These cookies look so different from the regular chocolate chip cookies. 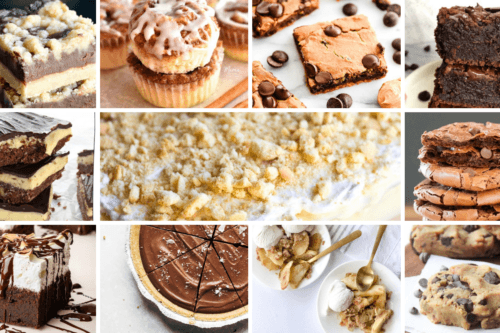 They’re an easy way to mix up any holiday dessert offering! 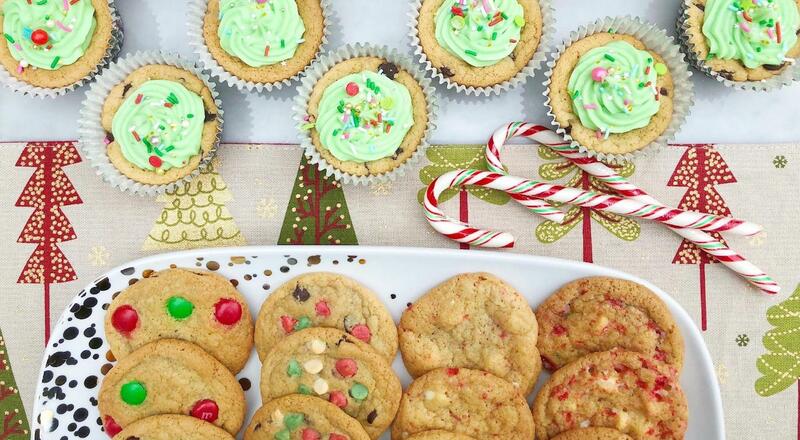 There are many more options to consider as well, like dipping half of the cookie in chocolate and adding sprinkles. 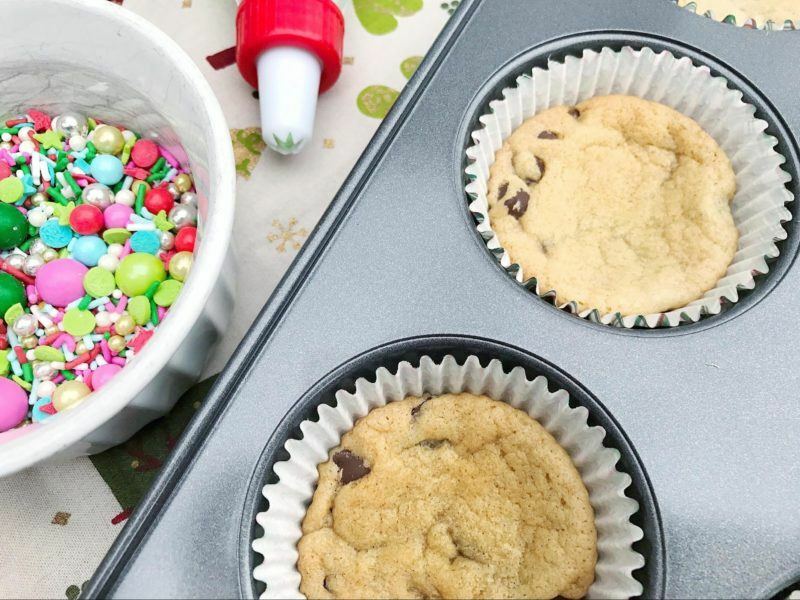 You can also use half regular and half mint chocolate chips. I hope you enjoy trying these different ways of making basic chocolate chip cookies!